In her new show, I Can’t Trace Time, directed by Dan Ruth and currently at The Green Room 42, Andrea Wolff stays true to her title premise by not offering a chronological autobiography, but, instead, presenting moments in, and aspects of, her life—and her thoughts about them—in no particular sequence. 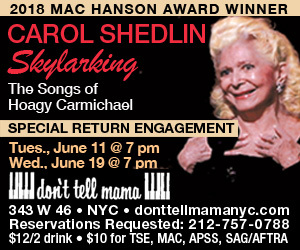 Employing an eclectic, effective array of songs from the past five decades, she takes us from her teenage years, when she was touring with Carol Channing in Hello, Dolly!, up to her 34-year marriage and her impending first-time grandmotherhood. 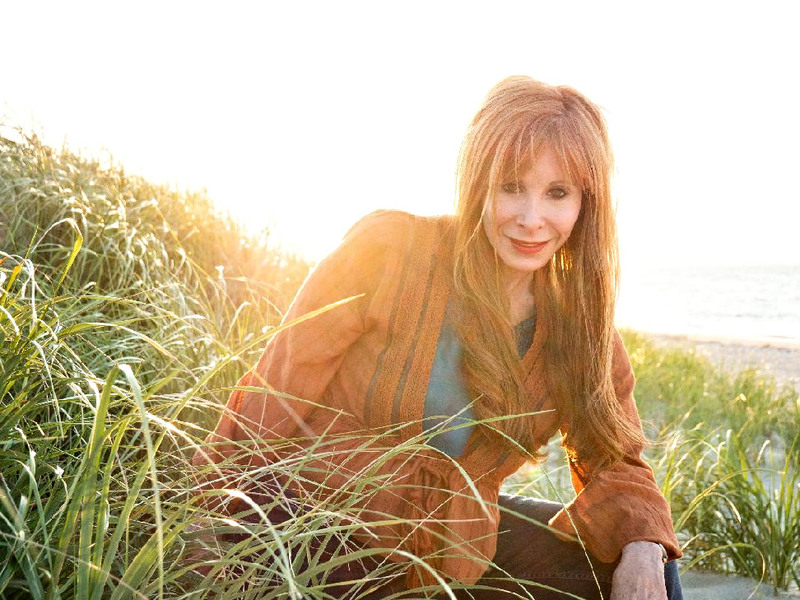 Her contagious enthusiasm for her carefully chosen material and her pleasing Broadway- and 1970s-pop-honed voice make an immediate connection with her audience and keep us with her throughout a most generous set. She is backed by a sextet of fine musicians, headed by Jude Obermuller, her music director, arranger and pianist. The others are Rob Thomas (violin), Maureen Kelly (cello), George Weber (double bass,), Doug Hinrichs (percussion), and Megan Talay (guitar). As if this weren’t enough, “special guest artist” Sean Harkness, on guitar, joins Wolff for two numbers. Wolff’s onstage energy belies her readily acknowledged age. “Don’t tell me,” she admonishes her audience as she sheds her long black greatcoat to reveal a sequined top and black leather capri pants, “that I’m too old to wear this outfit.” Her song choices range from her firing-on-all-cylinders opener, Stephen Schwartz’s “Spark of Creation,” to an understated duet with Obermuller on David Bowie’s “Changes” (with the lyric line that gives her show its title, “I Can’t Trace Time”). While not overtly political, Wolff nicely applies a medley of two 50-year-old Burt Bacharach/Hal David songs—”Be Aware” and “What the World Needs Now Is Love”—to current effect. Regret and misdirection about some events and choices are neatly represented by John Mayer’s “Stop This Train,” with the lyric line “I want to get off and go home again.” An unadorned “Up” (Gary Clark, John Carney, Graham Henderson, Carl Papenfus, Ken Papenfus, Zamo Riffman), sung in tribute to her husband, is a standout for being so straightforward. A breathtaking mashup of “Turn Around” (Malvina Reynolds, Alan Greene, Harry Belafonte) and “Jenny Rebecca” (Carol Hall), performed in honor of her forthcoming grandchild, finds both Wolff and her band at their very best. Occasionally, however, the overall sound of the band is too big for the room. Wolff’s touching rendition of the memorable Fleetwood Mac song “Landslide” (Stevie Nicks) begins beautifully as a duet with only Harkness accompanying her on guitar, but the entire mini-orchestra chimes in halfway through, not to the number’s benefit.